It’s that time of year again! CMT revealed the nominees and host for this year’s highly anticipated “2018 CMT Music Awards.” Country music stars Carrie Underwood, Florida Georgia Line and Jason Aldean lead the pack with the most nominations. In addition to recognizing the work of country favorites like Thomas Rhett and Kelsea Ballerini, this is the most musically diverse CMT Music Awards to date with nominations celebrating some of the biggest names in pop including Justin Timberlake, Backstreet Boys and Common. And as if the show needed anything more to make it must-see on TV, CMT has tapped Grammy and Emmy award winners Little Big Town to host. In celebration of blended-genre collaborations dominating all formats, this year’s nominations feature the most eclectic and diverse list to date, spanning the worlds of pop, hip-hop, Americana and R&B. Each winner is selected by the fans with voting open now atCMT.com. Little Big Town, nominated for three awards this year, is set to host their first-ever awards show when the “2018 CMT Music Awards” premieres LIVE from Nashville next month. With multiple “CMT Music Awards” wins and performances under their belts, the chart-topping and record-breaking group are no strangers to dominating the loudest night in country music. For the first-time ever, the highly-coveted “Video of the Year” category features pop artists, as Justin Timberlake’s soul searching “Say Something,” featuring Chris Stapleton, and Bebe Rexha’s head-bopper hit “Meant To Be,” with Florida Georgia Line are added into the mix, along with videos from Blake Shelton, Brett Young, Brothers Osborne, Carrie Underwood featuring Ludacris, Dan + Shay, Jason Aldean, Kane Brown featuringLauren Alaina, Kelsea Ballerini, Luke Combs, and Thomas Rhett. The top five “Video of the Year” nominees will be announced the morning of the show and fans will be able to vote all day and throughout the show on Twitter. Country superstar Carrie Underwood, who holds the title of most “CMT Music Awards” wins with 17, looks to add to her trophy case and defend her crown against superstars Florida Georgia Line and Jason Aldean, who are tied with Underwood for the most nominations with four each. Other artists with multiple nominations include “2018 CMT Music Awards” hosts Little Big Town (3), Chris Stapleton (3), Lauren Alaina (3),Thomas Rhett (3), Bebe Rexha (2), Blake Shelton (2), Brothers Osborne (2), Carly Pearce (2), Dan + Shay (2), Danielle Bradbery (2), Justin Timberlake (2), Kane Brown (2), Keith Urban (2), Kelsea Ballerini (2), Lady Antebellum (2), LANco (2), Ludacris (2) and Maren Morris (2). As a longtime advocate and supporter of the emerging artist community, each of this year’s nominees for “Breakthrough Video of the Year” (Carly Pearce, Danielle Bradbery, Devin Dawson, LANco, Russell Dickerson, Walker Hayes) have been featured across CMT’s multiple platforms and screens as part of its “CMT Listen Up” campaign and/or highly-lauded “CMT Next Women of Country” franchise. Artists with first-time nominations this year include Andra Day, Backstreet Boys, Bebe Rexha, Carly Pearce, Common, Derek Trucks, Devin Dawson, High Valley, Justin Timberlake, LANco, Ludacris, Russell Dickerson, Walker Hayes, and the legendary Earth, Wind & Fire. Fan voting begins today at CMT.com and continues until 12:01am ET on Monday, June 4th. The nominations follow renewed ratings growth and critical acclaim for CMT music specials and events due in part to a creative refresh featuring current and genre-bending artist pairings and pro-social elements. In October, “CMT Artists of the Year” notched its highest rating to date and now ranks as one of the fastest growing award shows, while “CMT Crossroads” recently garnered its highest ratings in five years with an episode featuring Backstreet Boys and Florida Georgia Line. The network recently finished its highest-rated quarter since 2014 and notched its fifth consecutive quarter of year-over-year ratings growth. April 2018 was CMT’s best April performance in 4 years, extending to 17 the channel’s streak of consecutive months of year-over-year ratings growth among Adults 18-49 and Women 18-49 (L+SD, CMT Total Day). For more information, follow @CMT on Twitter and Instagram, use hashtag #CMTawards and like the CMT Music Awards on Facebook. 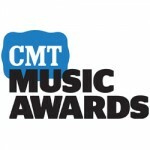 To request media credentials for the 2018 CMT Music Awards, please visit cmtmusicawardspress.com. Little Big Town has earned more than 40 award show nominations and in the past five years has taken home nearly 20 awards, including multiple GRAMMY, AMA, People’s Choice, CMA, ACM awards, and an Emmy award. Currently the reigning CMA and ACM Vocal Group of the Year, the Country Music Hall of Fame inductees (2014) went onto receive their star on the Nashville Walk of Fame in 2017. Also in 2017, Little Big Town hosted a sold-out, year-long artist residency at the famed Ryman Auditorium in Nashville — marking the venue’s first-ever, year-long residency in its 125-year history. The band also recently launched 4 Cellars wine, their first non-musical project as a band, with Browne Family Vineyards. For more information on Little Big Town visit LittleBigTown.com or follow them @littlebigtown. Country Music News Blog participates in advertising programs that help fund the operation of this site. For more information please visit our privacy statement. This entry was posted in CMT Music Awards, Little Big Town, Press Releases by Shauna "WhiskeyChick" Castorena. Bookmark the permalink.